This is an ImportFood.com online Japanese recipe. Here you can conveniently purchase authentic, quality ingredients imported from Japan and Thailand. 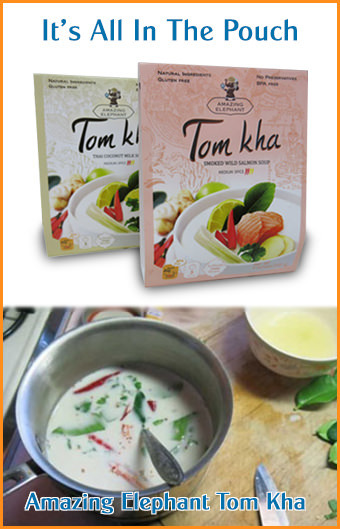 We hope you enjoy our website and it helps you enjoy cooking Thai food! Coroquette is served throughout Japan and makes for a nice meal to be enjoyed by Americans alike. Peel the potatoes and cut them in 4-6 pieces. Boil them for 20 min or until cooked through. While potatoes are still warm, put them in the bowl and smash. Wait till it cools down and add egg yolk to make it smooth and add richness in flavor. In the frying pan, heat 1 tablespoon of oil and stir fry onion and ground beef/pork until meat changes the color and onion turns to transparent. Salt and pepper. Wait until it cools down, and add to the smashed potatoes. Make about 6-8 balls from the mixture. Prepare flour, panko, and beaten eggs on each plates. First, dredge the potato balls with flour, shaking off any excess. Next, dip in the beaten eggs, then coat in Panko. Heat oil (the amount that would cover a whole potato ball) in a wok or a deep-fryer to 350F. Gently slide in the potato balls, 1 or 2 at a time. Deep-fry, turning once or twice, until both side is golden brown. Drain on paper towels. Arrange them on plates, garnishing with shredded cabbage if you'd like, and serve with a generous amount of Bull-Dog Tonkatsu Sauce on the side as a dip.